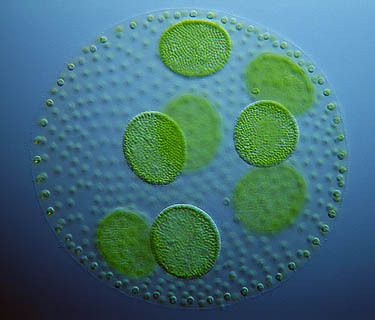 This is a picture of Volvox... which is a genus of chlorophytes, a type of green algae! 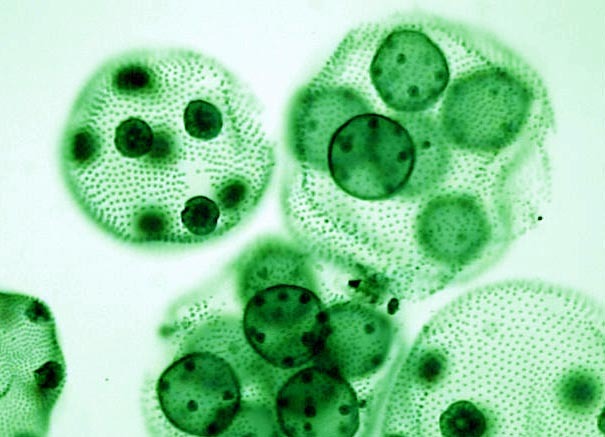 It forms spherical colonies of up to 50,000 cells. OK so maybe that doesn't sound too exciting, but take another look at the picture - this is the most clear picture I have ever seen of a microbe, it just seems so crisp (OK I thought it was a single microbe when I first saw it). 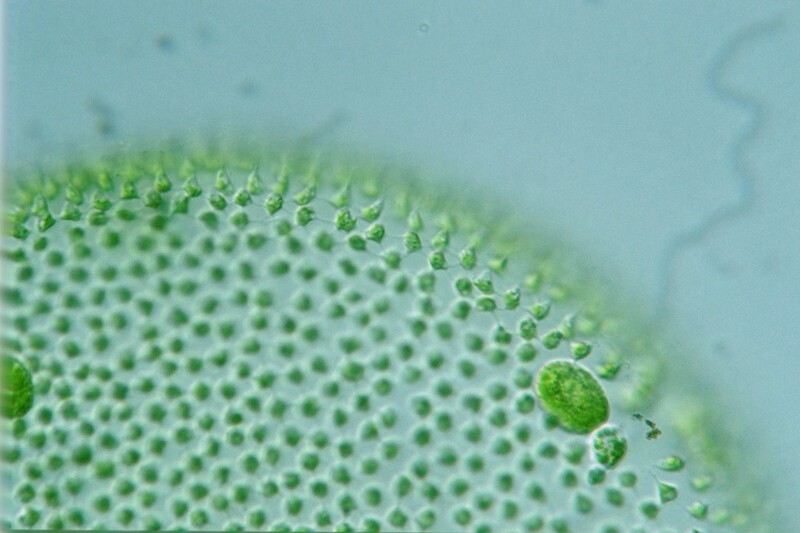 Actually the reason it looks like this is that Volvox is actually colonies of algae, lots of little cells joined together. 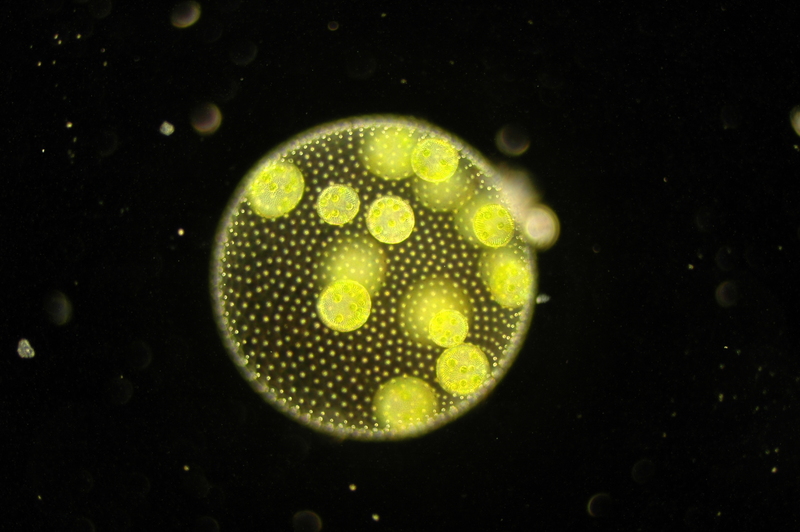 It is kinda cool in that it is a predecessor to multi-celled life in a way. Here are some other cool images.. Some algae have been hanging together rather than going it alone much longer than previously thought, according to new research. Ancestors of Volvox algae made the transition from being a single-celled organism to becoming a multicellular colony at least 200 million years ago, during the Triassic Period. At that time, Earth was a hot-house world whose inhabitants included tree ferns, dinosaurs and early mammals. 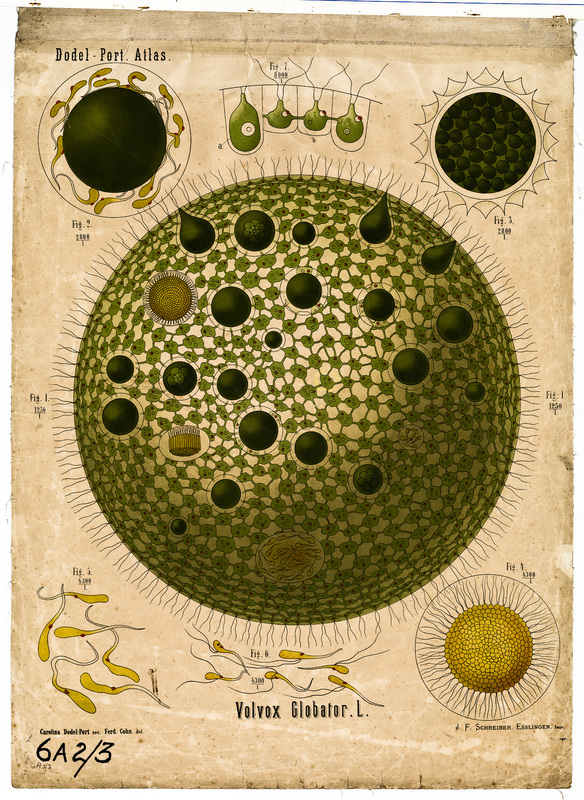 Previous estimates had suggested Volvox's ancestors arose only 50 million years ago.